The best cold breakfast ever!!! This is one of my favorite combos. If you've never tried it, do yourself a favor. Kefir, if you're unfamiliar, is a smooth yogurt-like liquid with a slight tangy effervescence. It comes from fermenting milk (or coconut milk) with kefir grains - a symbiotic blend of yeast and bacteria. It is great for intestinal health and tasty to boot. Cruesli is a name brand granola/muesli type cereal from Quaker sold in Europe. I picked up a few boxes the last time I was visiting. Yes, I bring back food from my travels. 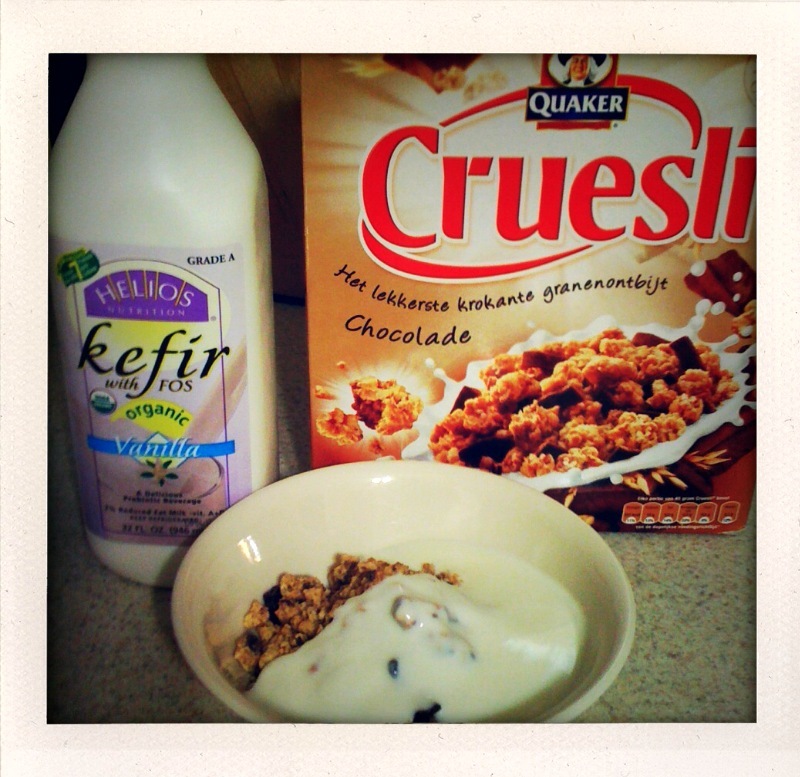 The combo above is a classic vanilla (kefir) and chocolate (Cruesli) pairing, but the combinations are endless. This past week we picked up some banana granola and mixed it with strawberry kefir, which was equally delicious. As they say in The Netherlands, schmecklekker!